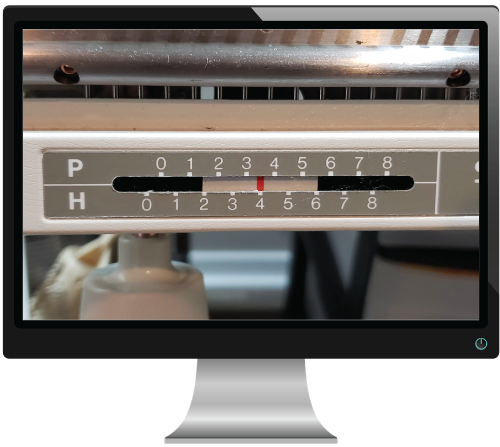 Learning to MASTER your knitting machine just got easier! 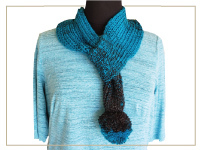 For more than 8 years, Knit it Now has been helping knitters just like you. You are not alone! 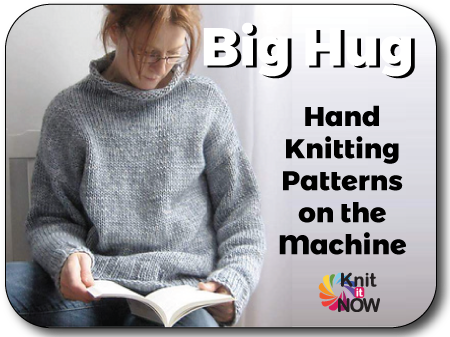 Join our worldwide community of machine knitters. 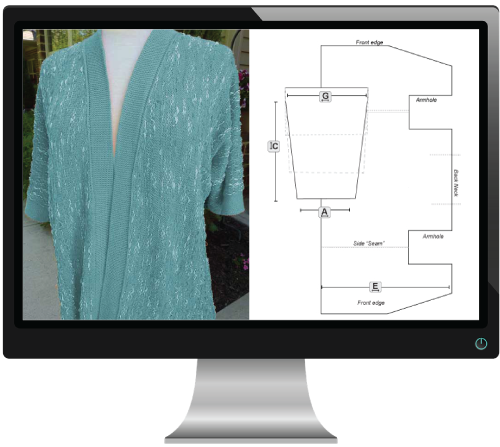 No matter where you are on your machine knitting journey, we're here to help! 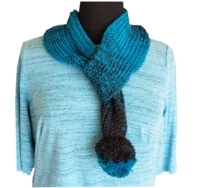 Don't just watch Videos ... GET KNITTING! Great job. Clear, logical, good quality videos and teaching.Wish you were here in Australia, although I'm an experienced knitter and always follow your site. Many thanks. 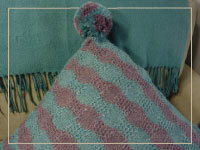 Service is first Rate, the yarn is excelent quality, shipped fast. It is a pleasure to deal with this company. 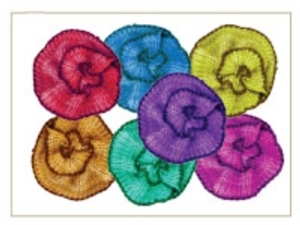 Prices are the best on the Web by far for Cone yarns. I would highly recommend them to any machine Knitter looking for supplies. This is wonderful website! I live far away from any machine knitting help. A real boon! Really loved videos on Silver Knit controller! Very helpful! I think this website is the best ever. You make the explanation seem so simple. Thank you for sharing this with us. I-Cord Bind off and Cast on--- loved this. I'm new at this but I've learned the I-CORD. Thank you!!! 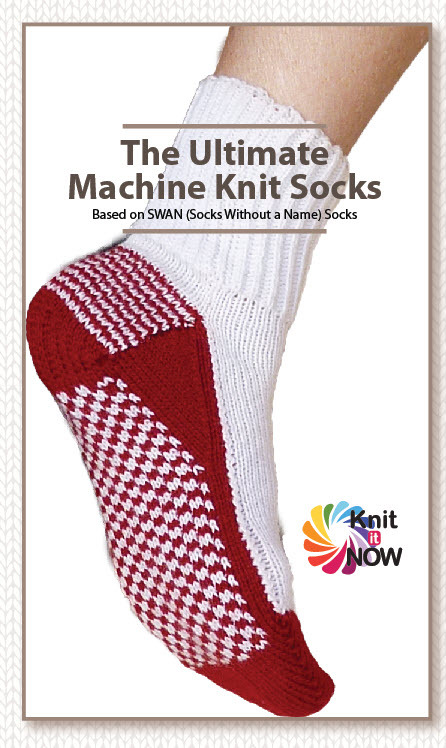 You are the greatest boost for machine knitters, ever! Keep up the wonderful work. 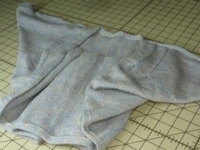 I stumbled across the Knit It Now web site in frustrated search for machine knitting patterns. 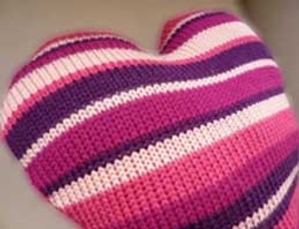 I has asked two Craftsy instructors for where to find more patterns. I have so much enjoyed the patterns and varieties since I found you. How can you increase your web presence so others don't have to spend a month searching? Thank you. I love you. This is an amazing site...It's like having private lessons when I can't figure out how to do something; and there is always new videos and patterns that inspire me to keep on learning. Thank you so very much for all that you do. Knit it Now has to be the best thing since sliced Bread. I am battling with Alzheimers and have returned to Machine knitting after an absence of 15 years in the hope of keeping my mind active while doing something that I enjoy immensely. I stumbled on this site, I cant remember how but it was like finding the Holy Grail. Your video presentations are second to none. Clear, concise friendly and easy to follow. I love this site and everything you do. The only way to learn to shape and finish perfect armholes and bands for vests and sleeveless sweaters is PRACTICE! 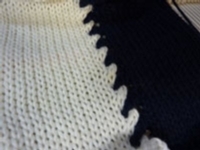 These practice patterns will give you the tools to try different techniques without complicating the knitting with necklines. 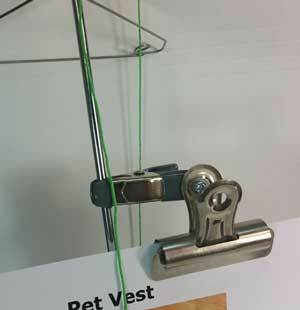 Safely remove your knitting from the machine without dropping stitches or binding off. Scrapping off is used whenever you want to leave live, open stitches to pick up later. 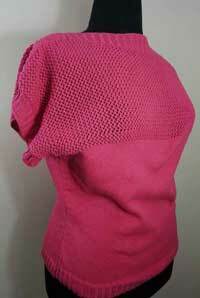 Think of this as a FAST bind off with options. 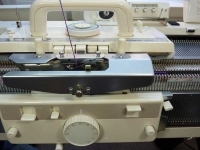 Compare sock toe shaping techniques on a flat bed machine. Traditional Short Row shaping vs hand knit decrease method. Which do you prefer? 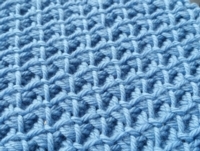 Tuck with needles out of work (tuck lace) is a beautiful technique that can be worked on any knitting machine. 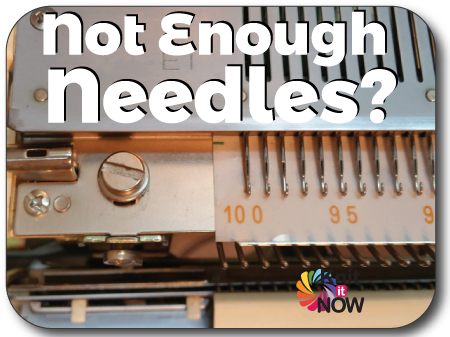 Keeping needles out of work combined with tuck stitch creates lighter weight fabric for a variety of uses. 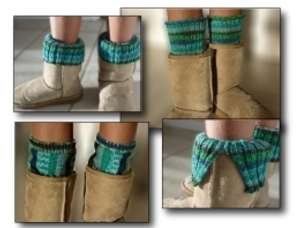 Stash buster project to create a bit of knitting to peek out over the top of your boots. Fashionable fun for all ages! 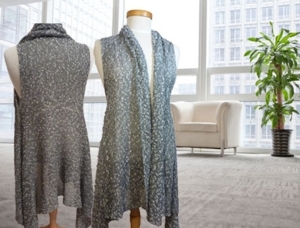 3 rectangles + no shaping + a soft, drapy yarn or an openwork stitch pattern = a fabulous, comfy vest! 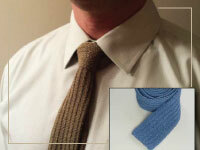 Knitted ties are classic! 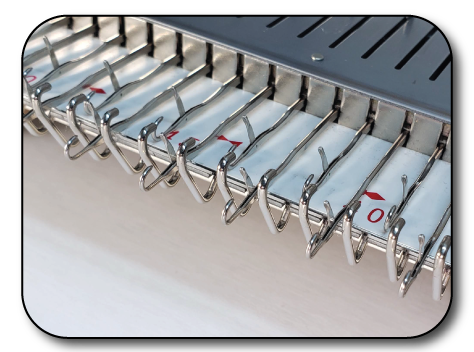 If you have some experience with your ribber, making them on the knitting machine can be a fun, quick project. Looking for a FAST project? Dust off your Ribber and get knitting! 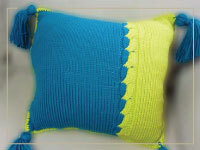 Take a fairly simple tuck stitch pattern and add stripes for a quick, textured, colorful pillow. Don't just watch videos, take action and GET KNITTING! 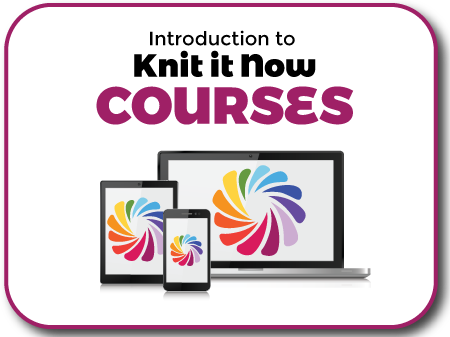 Get a feel for the Knit it Now Machine Knitting Course PLATFORM with this *FREE* short demo. Jump around, click away ... you can't break anything and you'll see how easy it is to follow and learn ... interactively! 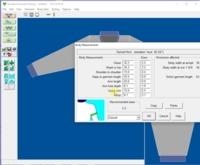 Over the next 4 weeks, we will expand on the experience gained in the Ribber 1 Knit-along.If you haven't worked the exercises in that Knit-along, please take a look at the topics covered.